This Residence is situated in a historical building just 50 meters from Betlémské square and 200 meters from Charles Bridge. 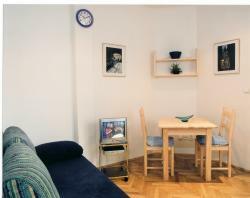 2 Large apartment with:1 bedroom with double bed, dining room with 2/3 double sofa-beds, kitchen, bathroom, SAT-TV. Pans, cutlery, glasses, cups provided. 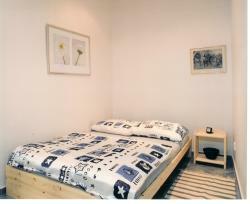 We will provide you sheets and blankets fot the beds, 2 bath towels for each person. 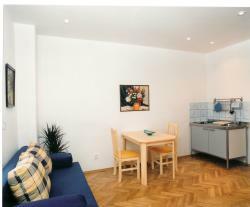 Just few steps from your flats is situated Betlemske square, one of the numerous suggestive places in Prague. Continueing 200 meters more, you will find the well-known Charles Bridge, that connect the 2 areas of the centre of Prague. That way will lead you up to the castle. Close to this flats there are also Narodni street, with a lot of shops and one the best supermarkets in Prague, Tesco, with a wide range of goods. 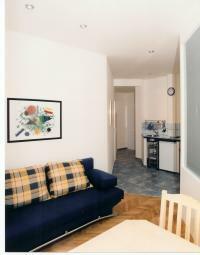 In the same street where this flat are situated, you will find a lot of bars and restaurants with Czech and Italian cuisine. Prague amazing nightlife is just few meters from your flat. Nearest Metro Station Narodni Trida 250Mt.